Comment: Remove and haul away existing driveway. Replace with new concrete or pavers with some minor width modifications. Area to be poured is approximately 1,000 square feet. Comment: Driveway is cracked and surface is rough. Additionally, in edge is higher than the surface next to it by severally inches, in would like that filled and driveway widened to cover that area. Comment: New two-story home plus a 1,000 sq. ft. basement, driveway, small patio, and 500 sq. garage on flat lot. Comment: Toluca Town House #6 (TT6) is seeking estimates for concrete repairs within the poolside area, together with several walkways. Phase 2 will involve a complete refurbishment of the poolside area and pool repaving, plus a new pergola and poolside seating. 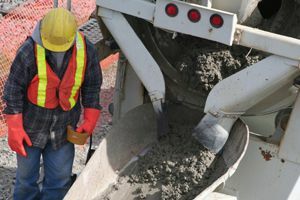 Burbank Concrete Contractors are rated 4.72 out of 5 based on 2,219 reviews of 54 pros. Not Looking for Concrete Contractors in Burbank, CA?